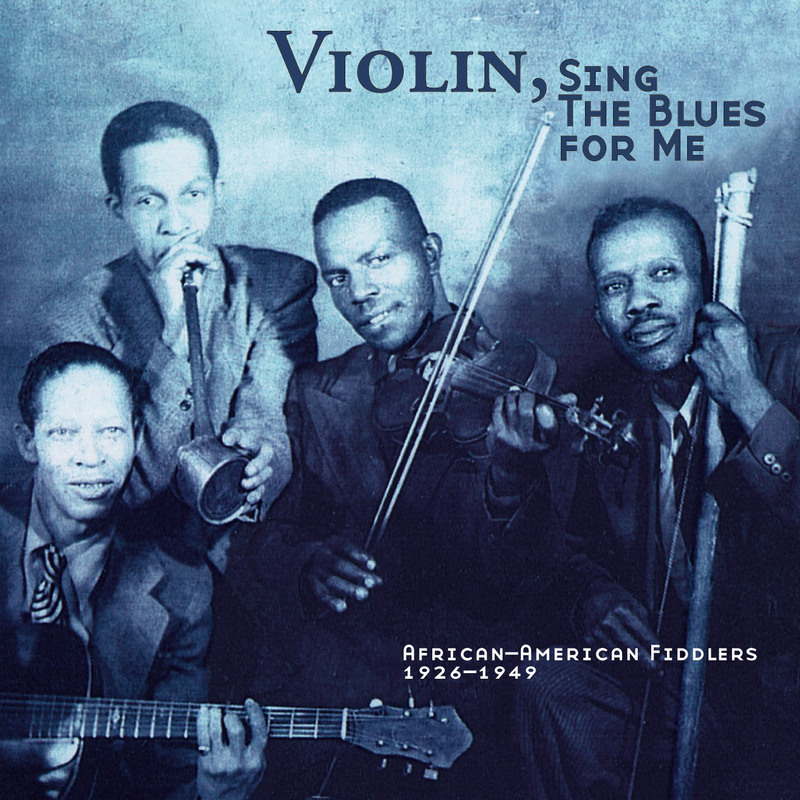 The music of African-American fiddler Andrew Baxter backed-up by his son Jim on guitar is one great example of an old string-band tradition among African-Americans that is now almost completely extinct and was rarely recorded on phonograph records. 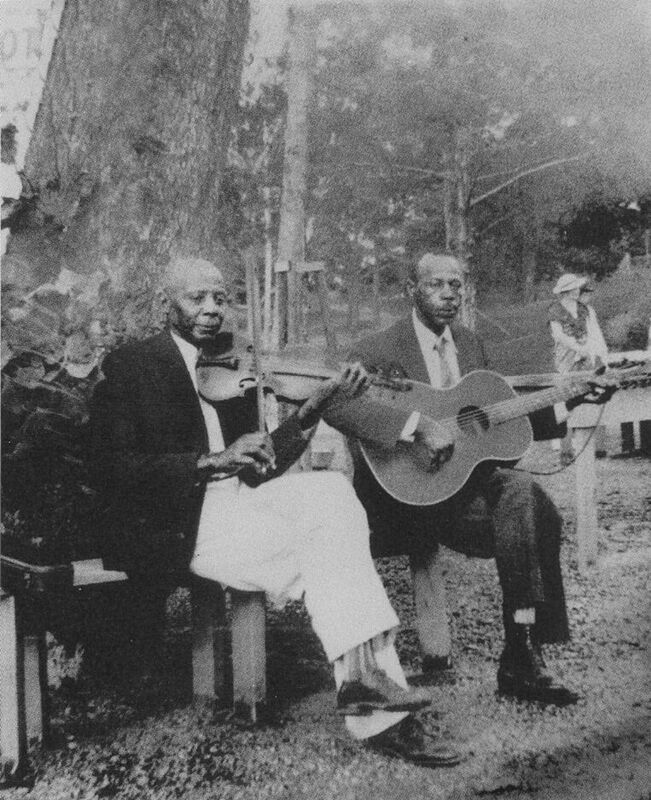 Folklorists and researchers found that the rural string-band music so much associated with whites nowadays was commonly played also by blacks in the Southern States until the beginning of the 20th century but soon faded away due to migrations to the North and the cities, the popularity of Blues and Jazz during the phonograph years and changes in popular tastes. 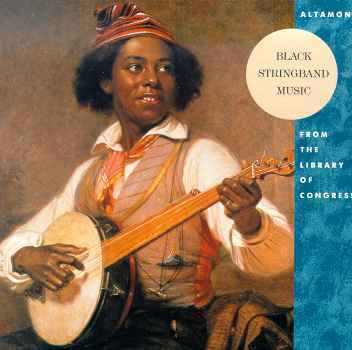 Many white musicians testified to have learned the banjo or the fiddle in their youth watching black musicians and some of this influential musicians were recorded by phonograph companies or on field recordings. 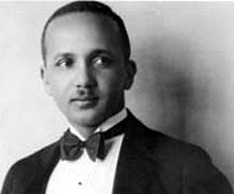 Their repertoire was sometimes very similar to white string-bands but included tunes that were typically african-american in style. Some were able to play in more than one style to please their public, whether it was a white or a black audience. 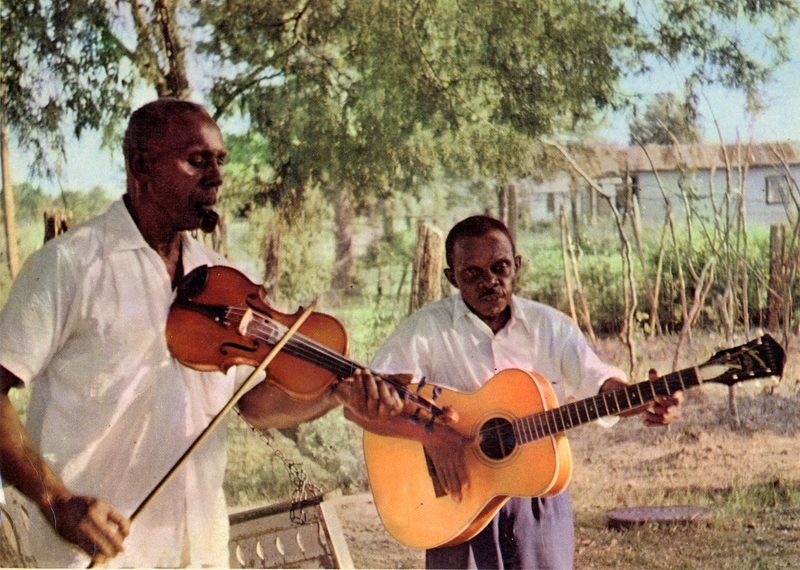 Andrew and Jim Baxter,for example, could play breakdowns, Blues or Church music even if their more Bluesy repertoire is prominent on the recordings we have of them, due to the popularity of the genre among the black record buyers from those days. They came from Gordon County, Georgia and were recorded in Charlotte, North Carolina in 1927 by the Victor Records company. They made the trip to the recording studios with a white string-band from their hometown called The Georgia YellowHammers. Due to segregation, they had to be separeted on their train ride to Charlotte and recorded in separate sessions. 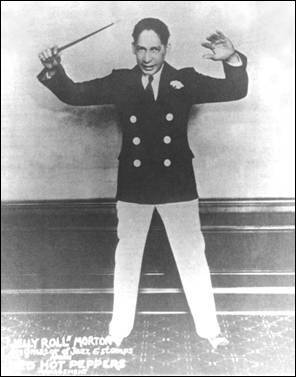 But for one track, “G rag”, Andrew Baxter played fiddle with The Georgia Yellow Hammers, a very rare example of an “integrated” band during the 1920’s. -I stumbled upon this fine article about the music of Andrew and Jim Baxter on “Done Gone”, a great blog about Country Blues and Old-time Music. 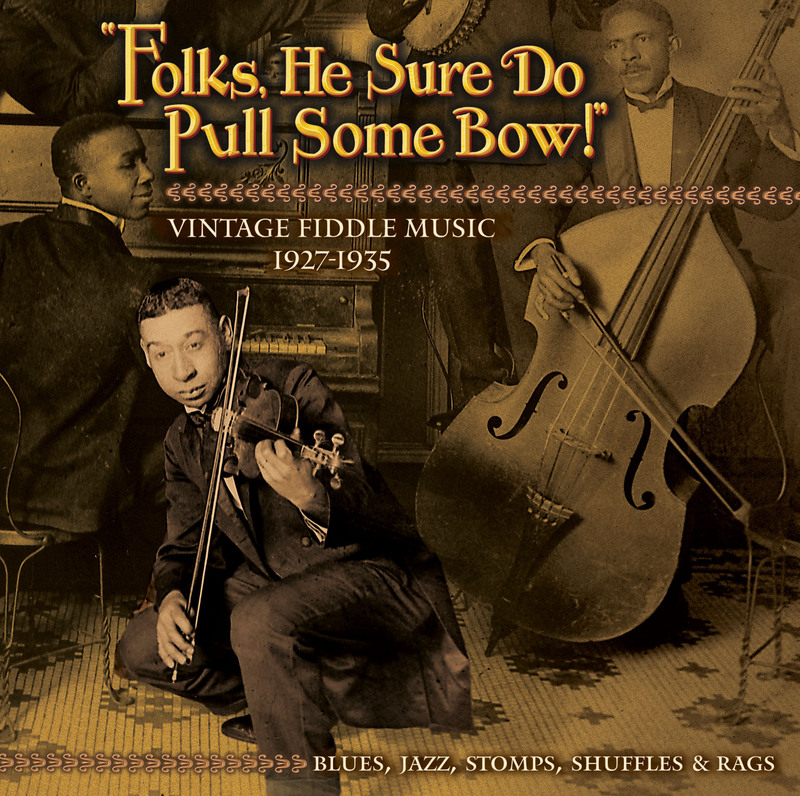 “Folks, He Sure Do Pull Some Bow!” and “Violin, Sing The Blues For Me” are two great compilations on Old-Hat Records that feature the fiddle played by African-Americans on 78rpm records. “Altamont” and “Ain’t Gonna Rain No More: Blues and Pre-Blues from Piedmont North Carolina” on Rounder Records and “Black Banjo Songsters of North Carolina and Virginia“ on Smithsonian/Folkways are great recordings of the earlier rural music played on banjos and fiddles by African-Americans. 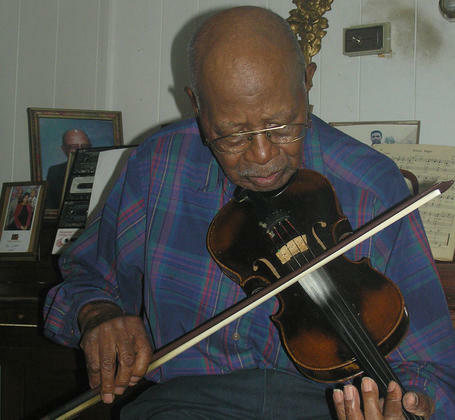 –Joe Thompson from North Carolina is maybe the last musician still active who preserved this tradition of fiddle music among blacks and his duets with his cousin Odell on banjo are featured on the records cited above. “Family tradition“ on Rounder is an album devoted entirely to his music. In searching for variants of “Georgia Stomp” by Andrew and Jim Baxter, i discovered that a incredible lot of tracks with the word “stomp” on their title were recorded, especially during the 1920’s, 1930’s and 1940’s. The word “stomp” in a musical context meant a sort of dance with heavy steps and the word was widespread to design all sorts of rhytmic and syncopated music. Like the words “Blues”, “Breakdown”, “Rag”, it was a fashionable appellation in those years and you can find it in many genres of popular and folk american music. – I selected 50 “stomp” tracks from my personnal collection, with examples in black and white String Band music, Early Jazz,Blues, Cajun, Western Swing and Bluegrass. I had a lot of fun selecting all this great and lively music and i hope you’ll enjoy it as well! Thank you for all your incredible and hard work. A true labor of love that you share with a lot of generosity. Really one of the best music blogs anywhere. 2 songs were corrupt in the zip file to part 1: Walkin’ Cane Stomp and Memphis Stomp, just fyi. Thanks again for all this and I look forward to the whole journey. This is a magnificent project. Keep up the great work, it is truly inspiring. It’s been a long time but, as always, well worth the wait. Another wonderful posting. Oh dear, this is a hell of a compilation for which I am very very gratefull. thank you so much for compiling this sweet collection of songs. Andrew and Jim Baxter and The Georgia Yellow Hammers are both from here in my NW Georgia town of Calhoun, located 1/2 way between Chattanooga (TN) and Atlanta on I-75. Thanks For Your interest in our local music heroes… Come celebrate them with us! Thanks Paul for your informations. It’s important to spread the word about Andrew & Jim Baxter’s music…Good luck for the festival. Back again for our 5th Annual Georgia String Band Festival and Fiddler’s Convention, honoring our great pioneer recording artists of the 1920’s, Andrew and Jim Baxter as well as the Georgia Yellow Hammers. Opening performances at the Art’s Center downtown on Friday evening, May 13th, and performances, competitions, workshops, vendors and all manner of open jamming at the Fairgrounds on Saturday, May 14th. Camping is available on-site. 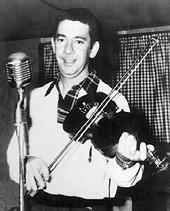 Historical presentations are planned, as NW Georgia was ground zero for this important heritage music, with Earl Johnson, The Skillet Lickers, Fiddling John Carson and many others being frequent visitors to our many Fiddling conventions. Watch for the FaceBook page soon, The Georgia String Band Festival, and Y’all Come! Great work! Thanks for all these great tunes! The Andrew and Jim Baxter link is broken, I would really love to get a copy of that file – not just great fiddling but also interesting guitar back-up. Hard to find those tracks, you’ve done a terrific job pulling all those tracks together.